Not a week goes by without a customer coming in to one of our stores to ask about buying or building a road racing car. Most people seem to know what they want, others want some guidance. While the former outnumber the latter, on average both groups seem equally confused about their goals and how to achieve them. 1. Spec Miata can be run competitively in the largest number of racing events (NASA, SCCA and, with the right car, SVRA). Spec Miatas can also often be run in ChampCar, WRL, BMWCCA and PCA events though not always at the top of the class. 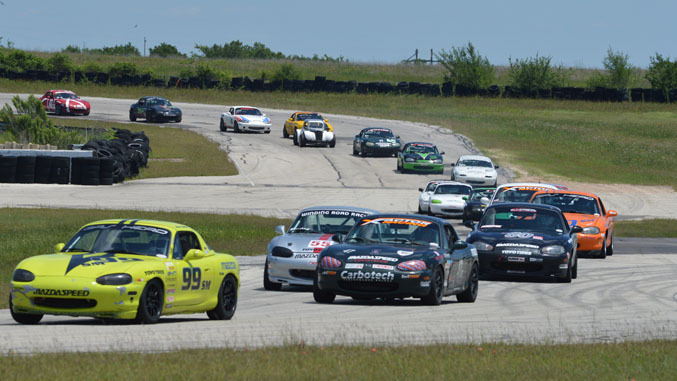 At many NASA and SCCA events, Spec Miatas can be run in two different classes, giving you more racing per weekend than normal (again, sometimes you won't at the front of the field in some classes, but for practice this feature is great). 3. There is a huge market of Spec Miata cars for sale. It is easy to get a car and used cars are pretty inexpensive ($10k and up). A new championship-capable car is under $40k from competent builders. 12. Spec Miatas are relatively slow. This means you can drive them well into your career (into your 70s or 80s). Don't try that, if you want to be competitive, in your DP02 (Scott Pruett and Jack Baldwin excepted). 13. Spec Miatas are surprisingly fast. If you want to have some HPDE fun, build your racing chops and then go run with a Z06 on street tires at a track day on a tight circuit in the intermediate group. Then you can ask "Are you sure that thing has 505 hp?" There are more reasons SM is great. If you've driven SM, feel free to chip in your own favorites in comments. 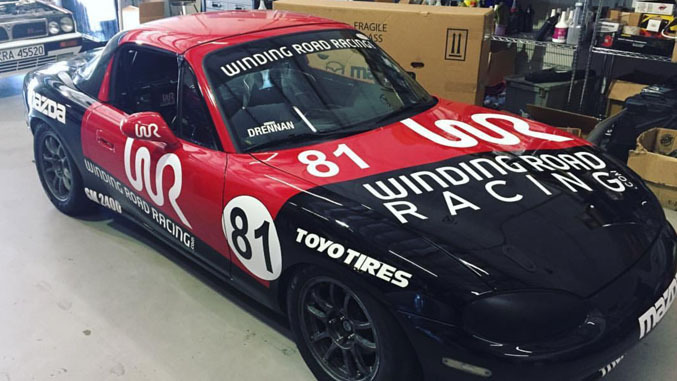 For information on Winding Road Racing's Spec Miata arrive and drive, coaching, rental and build services, click here.